EVERY YEAR brings something new, and this year it was an answer to the question “To nano, or not to nano?” Fly rod manufacturers started exploring 3M’s new Matrix Resin in 2008, but this is the first year we’ll see it in a broad range of fly rods. As Geoff Mueller pointed out in a recent Angling Trade article, the resin — which contains buckle-resistant nano-particles — worked well in some shops and not in others. Perhaps that was inevitable when you remember how far individual rod makers have gone to differentiate their products. Curing processes are the secret recipe at some shops, while others tweak ferrules, tapers and finishes for the ultimate feel. More and more rodbuilders design sections individually. They do this knowing that expert fly fishers have already settled on a style of fly fishing – and often a brand — that narrows their search. For the experienced angler, all the specialization — among switch rods, bass rods, spring creek rods, spey rods or bonefish rods — makes good sense. They know their gear needs intimately. For non-experts — who’ll buy most of this year’s gear — the choice is harder. For many it means searching the mid-priced category or lower, for the one rod that will serve for almost any style of fishing, from swinging streamers to parachuting tiny PMDs upstream of a rise, or to casting to mudding permit and lazing tarpon on the same afternoon. Almost everyone agrees that you can now buy for $300 (or $100) what would have cost $600 in 2000. This makes it harder than ever to connect price to performance. The trend of rod makers tweaking their mid-range lines by trickling in bits and pieces of past years’ high-end features continues in 2011. 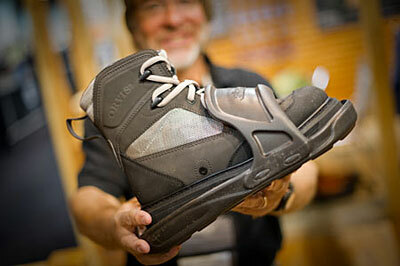 Orvis, for example, created a resin for the 2011 Access line which nears the performance of the Helios and Hydros materials by borrowing some of that technology. Whether you’re an expert or rookie, one of the 44 new fly rod models in this year’s Gear Guide should have the qualities you’re looking for in a new rod in 2011. Orvis, Sage, G.Loomis, Scott, St. Croix, Ross, Albright, Hardy, Redington and several other companies will introduce new fly rods. They range in price from$99.95 for the Redington “Pursuit” to $855 for G.Loomis’s saltwater NRX 12-weight and offer a broad selection for single-handed casters. Two–handed and switch rod anglers will get to choose from the Sage VXP, G.Loomis NRX and Scott T2h series. 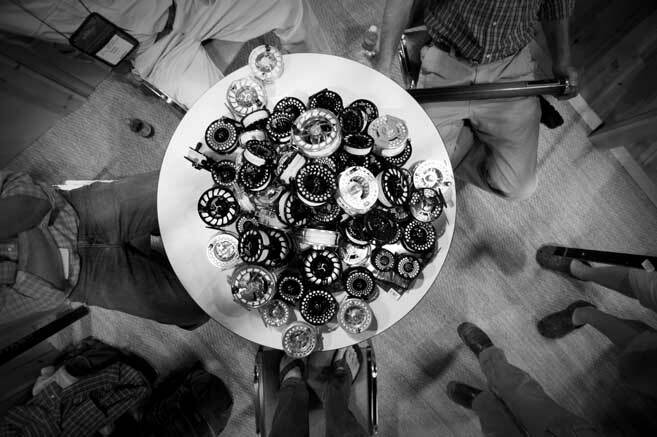 We cover 18 new reel series for 2011, including models from Tibor, Teton, Sage, Ross, Redington, Orvis, Waterworks-Lamson, Nautilus, Mako, Cabela’s and Willow Classic — and even a retro click pawl reel from Cortland. And while sealed drags have been integrated into reels for several years now, designers have had a hard time contending with the added weight and the whole notion of “maintenance-free.” But sealed drags on the new Ross and Orvis reels represent years of thought, and Ted Juracsik’s newly engineered drag in the new Tibor Signature Series is quite an endorsement of the concept. If you haven’t taken sealed drags seriously, now may be the time. And by the way, just before our Gear Guide was wrapped up, 3M announced it would acquire Ross, so look for some interesting things to come from that marriage in 2012. Scientific Anglers, RIO, Cortland, and Cabela’s will all introduce new fly lines in 2011, most of them improvements on already-strong series. But as with rods, designers are spending their time pulling premium features down into mid-price lines (RIO’s Avid series is a good example). Scientific Anglers seems committed to increasing the technical sophistication of their textured lines, introducing a Mastery Series Textured series with a “golf-ball dimple” pattern which is less abrasive than Sharkskin but doesn’t fall far behind in performance. 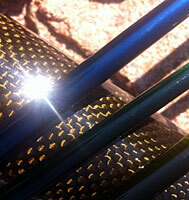 Cortland is introducing new tapers and colors in their Precision lines for trout and bonefish. We also take a look at 22 new wading boots and waders for 2011. In addition to Korkers‘ updated Omnitrax 3.0 sole system, highlights of 2011 boot design include Simms‘ new Boa-lace RiverTek and Orvis‘s expansion into an entire invasives-aware line (complete with mandatory studs). Patagonia will introduce the feature-packed new Rio Gallegos in spring 2011, Redington moves to sonic welding on their newly designed product, and Chota starts a new concept altogether: the knee-high wader. In vests and packs, four companies took the initiative for 2011. Orvis will update their Safe Passage look and features, LL Bean will have a waterproof waistpack for $89, Patagonia expands their mid-priced vests and sling pack options, and Fishpond introduces cool Tech Packs as part of its big line extension. The number of fast-wicking, bug-shooing, sun-protective fly fishing shirts, pants and clothing accessories will grow by dozens (our Gear Guide covers 60 of them) with the new lines from Patagonia, RailRiders, Simms, LL Bean, Coolibar,Mountain Khakis, Columbia and Buff. And cool (as in “art”) T-shirts from Bugslinger, along with new socks from SmartWool, round out the mix. A new category this year, Fly Tying Materials & Tools, includes 42 new products from Rite Bobbin, Fish Pimp, Hareline, Clear Cure Goo, Dr. Slick, Singlebarbed, Westwater, C&F, Gateway, Cascade Crest, Rising Fish and Flymen Fishing Company, and several others. Among the 62 fly fishing accessories we’re highlighting from top brands in 2011 are Abel‘s Northwest Native American-style reel art, Otterbox cases for the iPhone, Fish Pimp indicators and floatant, SPOT‘s GPS Messenger, Simms‘ “Lodge Line,” and TroutHunter leaders and tippets. This year’s Gear Guide also covers 20 new eyewear models from Kaenon, Fish Eyes, Oakley, Costa Del Mar, Zeal Optics and Smith — all of them vying for the “Coolest, Most Functional” sunglasses award for 2011. Last but not least, watercraft manufacturers are fast-paddling into 2011. Creek Company‘s new Sport XR 1, Outcast‘s Featherlight, Trinity and Wave Quad, and Diablo Paddlesports‘ Chupacabra headline the fleet of new floating, rowing and paddling craft for fly fishers in 2011. 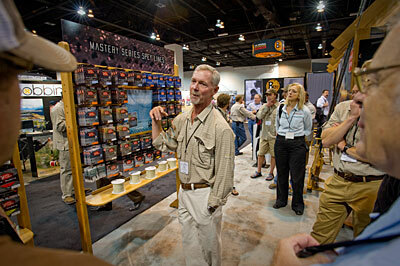 In all, MidCurrent’s 2011 Gear Guide covers at least 305 new fly fishing products from 80 manufacturers. We’ll be adding new products that appear in coming weeks, so be sure to check back for updates. And if you have questions for manufacturers and designers, be sure to post them to our comments.